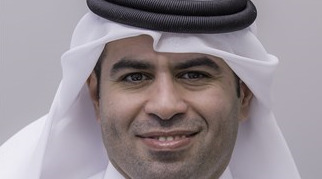 Commenting on the NSD preparations, Mr. Mohammad Mubarak Al Kuwari, Chairman of the NSD Organising Committee at AZF, said: “Our plans for this year’s National Sport Day are progressing well and the teams at our member organisations have been busily working for some time now. Together, they have drawn on the collective experience and sporting capabilities to develop another fantastic and varied programme. What makes our NSD activities unique is that we open our doors to all members of the community so they can come and benefit from our expertise. 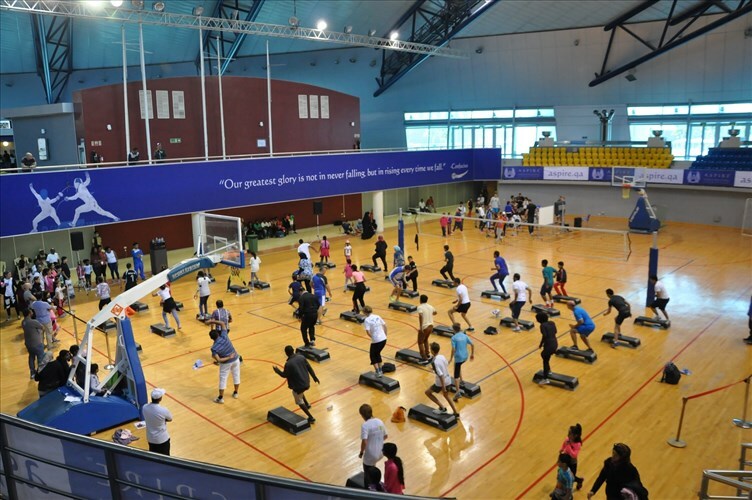 I would encourage attendees to take part in the many sports science related activities being organised by Aspire Academy this year, in addition to the 5000-step walk offered by experts at Aspetar’s “Exercise is Medicine” programme and a variety of community fun and entertaining activities open to all that are being organised by Aspire Logistics”. He added: “Thanks to our ongoing commitment to the local community, AZF enables organisations and entities of all shapes and sizes to benefit from our world-class venues and capabilities by hosting their own NSD activities in Aspire Zone. This in turn offers all sectors of the local community in Qatar the opportunity to celebrate NSD in their own way, significantly increasing the number of participants in AZF’s NSD celebrations year after year”. In designing its NSD programme of activities, the Foundation focused on activities that both promote physical activity as part of a healthy lifestyle and emphasise the importance of exercise in daily life. This is in line with AZF’s efforts to promote healthy lifestyles among people of all ages across the country, helping Qatar realise the Qatar National Vision 2030. Nordic Walking joins the wide range of activities that visitors have come to expect from AZF, with teams from the “Exercise is Medicine” programme offering a 2-hour Nordic walking activity from 10AM at Aspetar’s West Wing. Nordic Walking is low impact, delivers total body fitness, increases cardio fitness, burns more calories and activates 90% of the body’s muscles. It is a ‘total body’ version of walking that can be enjoyed by non-athletes as a healthy physical activity. In addition to walking, the activity will include fun games and different exercises for stretching, balancing and conditioning. In collaboration with the Japanese Embassy in Qatar, Football Pitch 10 will host Kendo shows, a Japanese martial art that is one of the oldest in the world, where audiences will be able to watch and participate in the sport. The shows will be take place from 10AM to 12PM on NSD. The Fun Run activity, one of the most popular events in AZF’s NSD programme in previous years, is back by popular demand and will be open to all members of the community, including men, women, families, children and persons with special needs. It will include a 3-kilometre course around Aspire Zone that will enable participants to experience AZF’s various venues and facilities while getting fit and having fun. Registration for the race will begin at 6:30AM and will last until 7:30AM. The race will then start at 8AM in the area between Khalifa International Stadium and the Torch Hotel. AZF is also organising many activities aimed at families and children on Football Pitch 10. These will include jumping castles, miniature football, basketball, volleyball, obstacle jumping, telematch games, and more. These will be running from 9AM to 3PM. Aspire Dome will host a variety of activities for families and friends, including running, hammer throwing, and plyometric challenges. Aspire Dome’s activities typically attract up to 2500 people because they offer such a diverse and rewarding set of challenges for all ages, increasing endurance, strength and flexibility. In addition, the Sports Science and Football Performance Department at Aspire is organising several football related activities, including shooting, dribbling and more. The Dome will also host several fun and challenging activities by the Multi Sports Development Programme. 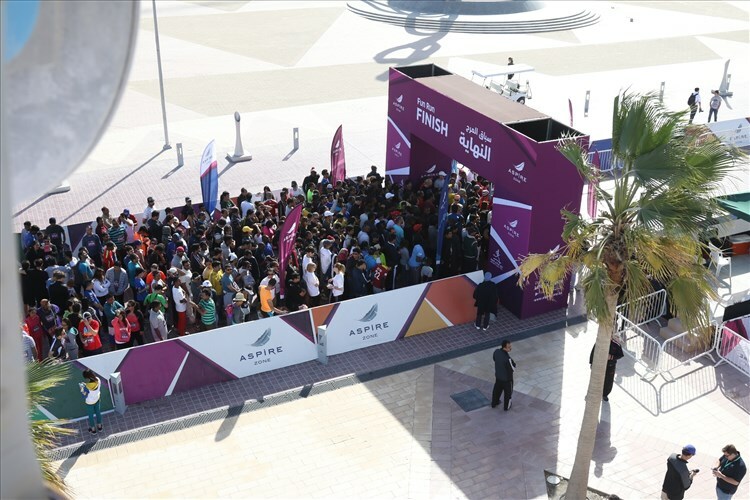 Early risers will also be able to take part in AZF’S NSD activities earlier in the day, as the open-round-the-clock Aspire Park will be open for walking until the first round of activities begins. In addition to its own activities, AZF will also be hosting more than 18 public and private sector entities celebrating NSD with their employees and the public. More details will be made available by the organising committee closer to NSD through the Life in Aspire mobile application, the Life in Aspire website www.lifeinaspire.qa/NSD and AZF’s various social media channels. AZF invites all members of the community in Qatar to join its NSD celebrations and enjoy everything the Foundation has to offer in terms of making sport and physical activity fun and exciting. Aspire Zone Foundation’s (AZF) National Sport Day (NSD) celebrations are rapidly taking shape as the NSD organising committee at AZF puts the final touches to this year’s programme of activities. 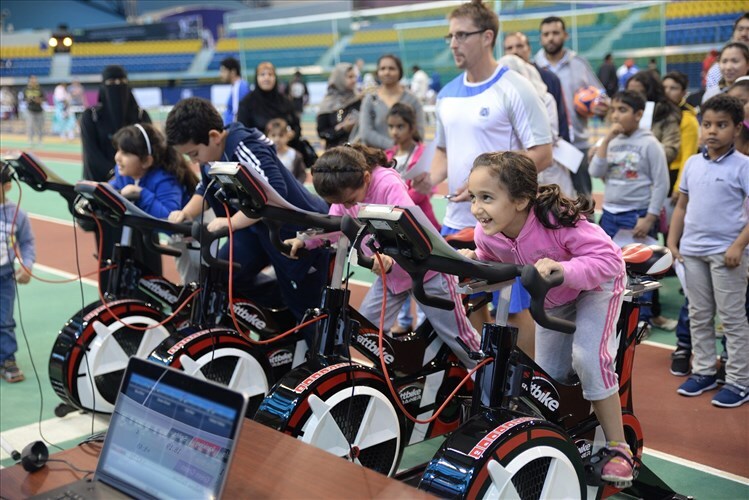 The activities are being organised by AZF and its member organisations: Aspire Academy, Aspetar, and Aspire Logistics and will include more than 25 unique events for all members of the community to enjoy. Moreover, AZF will host more than 18 entities participating in NSD celebrations. As with previous years, 2017’s plans prove that AZF really does offer something for everyone, no matter their age or level of fitness. Oct 14, 2015 World Boxing Champion Amir Khan visits Aspire Zone Foundation Two-time former world boxing champion and current WBC Silver Welterweight belt holder Amir Khan visited Aspire Zone this afternoon (14 October 2015), where he toured Aspire Academy and the world renowned orthopaedic and sports medicine hospital, Aspetar. British born Khan was accompanied by his father and Mr. Yousuf Ali Al Kazim, President of the Qatar Boxing Federation (QBF). Apr 24, 2016 Life in Aspire App is now Available!